Apr. 11, 2019—A report by researchers at Vanderbilt University Medical Center has shattered conventional wisdom about how cells, including cancer cells, shed DNA into the bloodstream: they don’t do it by packaging the genetic material in tiny vesicles called exosomes. Sep. 27, 2018—A trans-institutional team of researchers at Vanderbilt University Medical Center and Vanderbilt University has received an $11 million Cancer Moonshot grant to build a single-cell resolution atlas to map out the routes that benign colonic polyps take to progress to colorectal cancer, the third most common cancer among both men and women in the United States. Oct. 19, 2017—Members of the Vanderbilt University Medical Center (VUMC) community and others whose lives and careers have been influenced by legendary cancer investigator, educator and administrator Harold (Hal) Moses, M.D., have endowed the Linda and Harold L. Moses, M.D. Career Development Fund. Jun. 8, 2017—Vanderbilt’s Robert Coffey Jr., M.D., has received an Outstanding Investigator Award from the National Cancer Institute (NCI) — more than $6.6 million over seven years — to support studies aimed at advancing the diagnosis and treatment of colorectal cancer (CRC), a leading cancer killer. May. 18, 2017—Under the microscope, they sparkle like emeralds, these molecules that may hold a key to understanding — and stopping — cancerous growth. Mar. 23, 2017—Despite dramatic recent advances in treatment, colorectal cancer killed more than 49,000 Americans last year, according to the National Cancer Institute, making it the second most lethal malignancy after cancers of the lung and bronchus. Jun. 2, 2016—High school students performing advanced research at Vanderbilt have the opportunity to share their findings with the scientific community through a journal of their own. Mar. 24, 2016—A cancer patient’s gratitude toward his Vanderbilt-Ingram Cancer Center (VICC) physician led to a star-studded concert to benefit the Cancer Center.  Feb. 18, 2016—Investigators at Vanderbilt University Medical Center have published research regarding an important feature of colorectal cancer (CRC) that could eventually lead to the development of non-invasive means of monitoring cancer progression. After lung cancer, CRC is the second-most lethal cancer in the United States. Sep. 3, 2015—Understanding how signaling molecules are transported within and out of the cell may help to uncover the causes of certain cancers. Jul. 30, 2015—The gut has its own built-in pacemakers, populations of specialized cells that control smooth muscle contraction in the stomach, small intestine and colon.